What can you see , under the sea? Marine species provide important ecosystem services such as the provision of food, medicines and livelihoods. Every day is a learning day for witty students and that too learning in a fun way method. 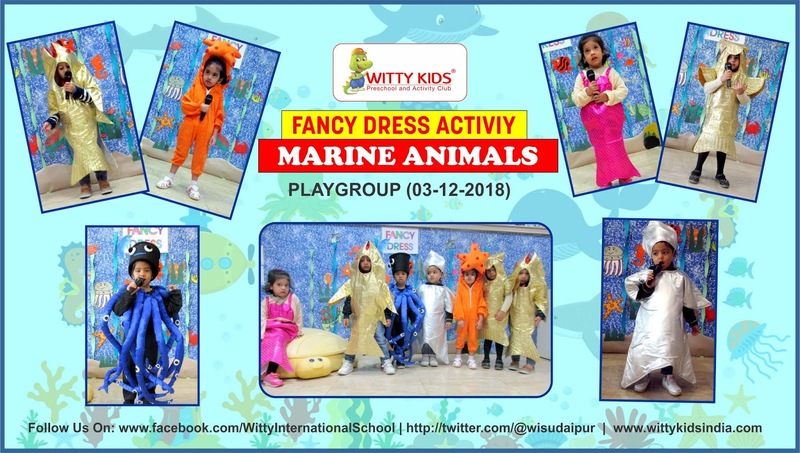 On Monday, 3rd December, 2018 little Wittians of Playgroup at Witty International School, Udaipur enjoyed Fancy dress activity based on the theme Marine animals. 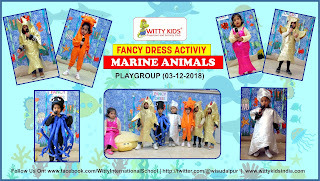 They came dressed as different marine animals and enjoyed enacting the same. They enjoyed reciting rhymes and spoke few lines about the character they were dressed as .They were also able to answer the questions asked by the teachers.